The original Sequential Circuits® MIDI kit for the Prophet®-10 with final OS version 6.1 offers MIDI IN and OUT jacks, with operation in OMNI or POLY Modes over MIDI Channels 1 and 6, note ON/OFF, program select, and current program MIDI data dump. Estimate 2 to 3 hours of installation labor by a competent service technician. 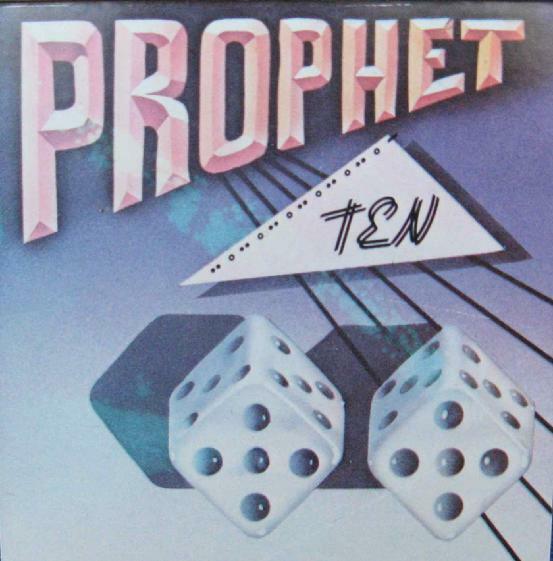 Version 6.1 Operating System is ONLY for a Prophet-10 with MIDI installed. OS v3.0, v4.0, v5.0, and v6.1 remain available for $49 each. and works in any Prophet-10 regardless of tape drive type, MIDI or no MIDI. 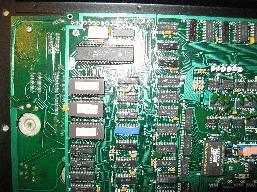 The 2 ROMs are installed into the OS socket positions 0 and 1, & position 2 remains empty. in order to run all diagnostics routines AND install factory programs into memory. The Prophet-10 Diagnostics is available for $29.95, with basic instructions also included. This restored and warranted Prophet-10 with a working original built-in Poly Sequencer and factory MIDI kit installed successfully completed our restoration process and was SOLD. 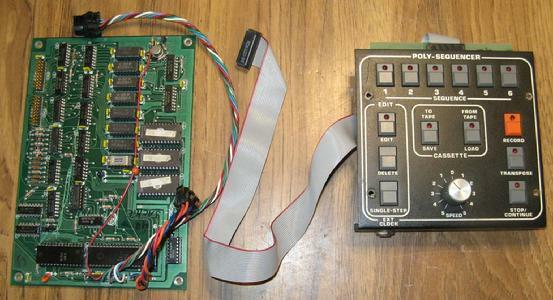 This Prophet-10 serial number 0322 was rated in excellent electronic and near excellent cosmetic condition. The cpu & audio electronics were calibrated to factory specifications, tantalum capacitors in the power supply were replaced, and a new memory back-up battery was installed along with factory programs. This Prophet-10 completed well over 100 hours of operational burn-in prior to shipment to assure reliability, and shipped in an original factory roadcase with casters. The Prophet-10 and all Rev 3.x Prophet-5s use the exact same analog voice board. The exact same powerful & warm analog sounds that can be created with two Prophet-5s can also be created with one Prophet-10. The Prophet-10 is 110/220 VAC voltage selectable, and the sale included an operations manual, removable AC power cord, Diagnostics ROM set, & certificate of warranty and 45 day warranty period that covered both parts & labor. If you are currently interested in purchasing a restored Prophet from Wine Country, please email us at Prophet@WineCountrySequential.com with your exact shipping address to get an estimated COST FOR SHIPPING. "Thanks so much for the really terrific work you did on my two Prophet 10's.. they are both great.. captured my imagination.. just massive and powerful.. blew me away. A pleasure doing business with you.. I would be happy to recommend you to anyone, please feel free to have them contact me if anyone should need a "first-hand experience" reference."